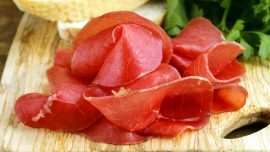 Varzi Salami PDO: a great salami of Lombardy. Typical of Varzi, an enchanting town in Pavia, it has a long history, maybe from the Lombards. 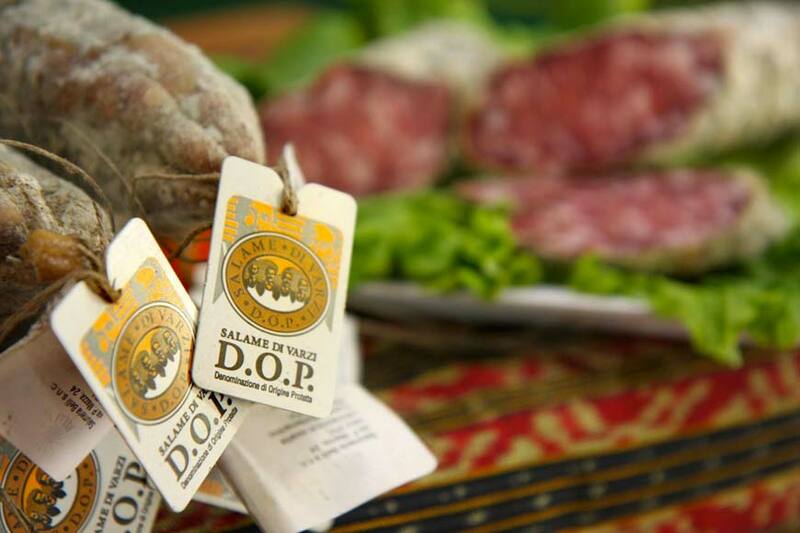 Varzi Salami takes its name from an enchanting village in the province of Pavia, a land rich of history. It was on the table of Marchesi Malaspina already in the Thirteenth-century. 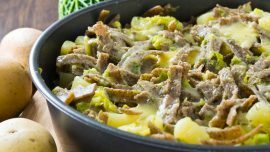 Other studies say that its origin came back to the Lombards’ period, when the use of pork’s meat spread through the invaded people, melting with local customs and culture, starting off original cold cuts products. Varzi Salami is a salami of pure pork, with salt, pepper in grains, spiced with a characteristic garlic and filtered red wine poured into. It has a bright red color, with a good and perfectly visible white fat distribution. Aroma: intense and delicate, strictly affected by curing time. Flavour: sweet and delicate but persistent. Weight: variable from 0,5 to 2 kg. Production area: Oltrepò Pavese mountain community, including Varzi and other next municipalities of Val Staffora and Valversa. The meat must belong to porks born, breeded and butchered in the province of Pavia, Alessandria and Piacenza. If you taste varzi Salami, then for sure you love it!